Step 1: in the first place, you have to get hold of the installation file. You can download it from the official Mozilla Foundation website or straight from Malavida. However, the first thing you need to know is whether you require the 32-bit or the 64-bit version. Step 2: once you’ve downloaded it, double click on its icon to start the installation process. A Windows message will probably pop up asking for permission to apply changes to your computer. You’ll have to grant such permission to continue with the installation. Step 3: once you’ve started the installation, you’ll soon see that there are two ways of doing so. On the one hand, there’s a standard installation, and on the other, a custom installation. In the first case, it will carry out all the options that Mozilla has configured by default. 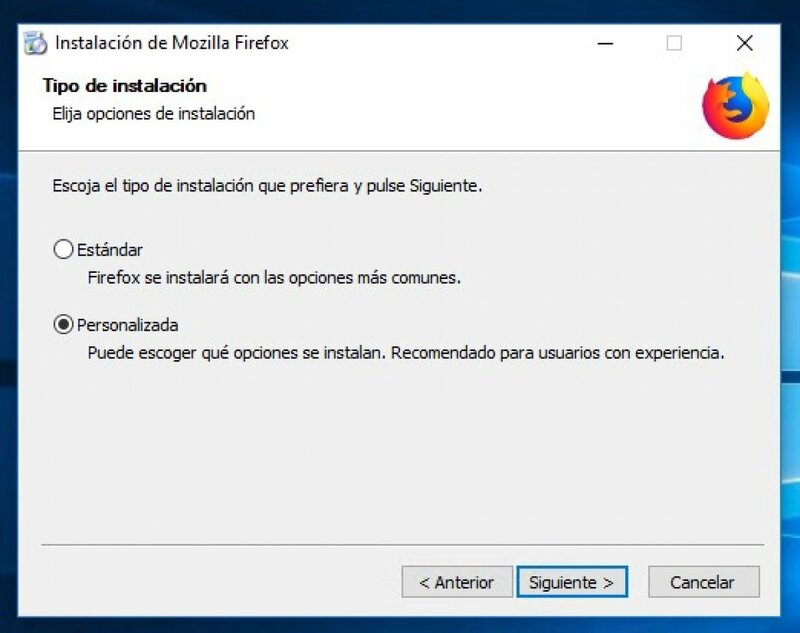 In other words, aspects such as the location of the program, shortcuts from the Desktop and Start Menu or using Firefox as your default browser will already be configured. However, if you choose a custom installation, you can modify all these parameters and adjust them to your likings as a user. Step 4: finally, you only have to follow the instructions and wait for the program to be fully installed. As you can see, it’s a rather simple process which is appropriate for all users regardless of their level of knowledge. And if until now, you were using a different browser, such as Google Chrome, there’s no need to worry. Firefox will take care of importing your bookmarks, history, and other aspects of the configuration that may affect your browsing experience.